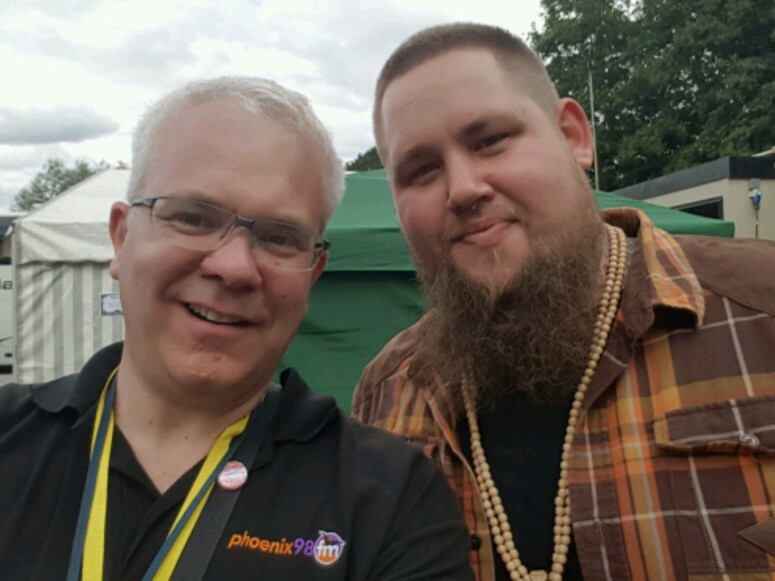 Phoenix FM caught Rag n Bone Man at Standon Calling in 2016, just before he went stratospheric with his hit single “Human”. You can hear him talking to Steve Robertson here. And Phoenix FM is delighted to announce it will be partnering Standon Calling again as an official media partner. After the record breaking success of 2018, Standon Calling continues to deliver and flourish as one of the essential festival weekends of the summer, with 2019 primed to be another joyous celebration of eclectic entertainment for the whole family – lead by Rag ’n’ Bone Man, announced today, as the first headliner taking to the stage next July. One of the most recognisable voices in pop, Rag’n’Bone Man has risen through the ranks to become a true chart-conquering force. After years of grafting, touring around the country and creating bold music that jumped between genres, his breakthrough anthem ‘Human’ became the indisputable song of 2017, storming the charts, leading to BRIT Awards and making his debut album the fastest selling release of the decade so far. With an arsenal of hits and an unmissable live show, his headline slot at Standon Calling promises to be a thrilling return. It will be a glimpse into his hotly-anticipated next chapter, as Rag’n’Bone Man serves up a special moment in the fields of Hertfordshire on Friday 26th July 2019. Talking about his headline slot in 2019, Rag ’n’ Bone Man said: ”Standon Calling has been one of those festivals I’ll always tell my mates to go to because the vibe is always great, so I’m pretty hyped to be playing it again next year”. Packing an unrivalled atmosphere and a reputation for delivering unforgettable festival moments, Standon Calling offers a welcoming embrace to a weekend of music, arts, fun and pure festival joy. With an ever-growing and loyal audience from around the country, it’s a calling to an unparalleled and down-to-earth celebration that once a year pulls a community together. Nestled in the stunning Hertfordshire countryside, it’s an easy-to-reach voyage into something truly special. At Standon Calling they dare to be different, with a purposefully eclectic, inclusive and creative programme, carefully curated to reflect the diverse interests of the crowds that gather year after year in its fields. By day, expect music to touch your heart, make you think, make you mosh and make you dance. Indulge with award-winning food and drink, settle in to enjoy acclaimed comedy, or entertain the whole family with activities and performances for all ages. Dip into the swimming pool or take in the dog show. The options are endless. By night, this is one bold, show-stopping beast, as world-class performers arrive in full force. Don’t miss late-night frivolities from some of the most celebrated electronic acts and DJs on the planet, leading the party right up to 4am. The perfect home for summer memories, Standon Calling is a defining beacon of the British festival experience. Gearing up for 2019 and excited to reveal Rag ’n’ Bone Man as the first headliner for next year, Founder and Festival Director Alex Trenchard said: “It’s been phenomenal seeing the rise of Rag ’n’ Bone Man over recent years. He’s someone who has already graced our stages twice on his way to becoming one of the standout figures in pop not only in the UK but around the world. Every year when we ask Standon festival-goers who they’d like to see play, he’s always up there at the top – so we’re delighted to be welcoming him back to headline the Friday night, in what’s sure to be a special singalong moment”.